Energy is an ability to do work. More recently, energy is used specifically to refer to the motive product of combustion; creating energy from natural resources requires a mix of fuels from volatile aerosol, liquid or solid substances that are used and create ever more choices in life. These choices include transportation, electricity, and agriculture which greatly influence how we work, where we reside or recreate, and consume resources. Electricity is a useful and easily distributed form of energy. Florida's energy consumption upward trend in both an aggregate and on a per capita basis. A sector is a particular part of the market in something that customers or people display a marked preference for one item over another. For example in respect to fuel consumption traffic consumes fossil fuel energy in the form of petroleum consumption meaning either diesel, gasoline, kerosene, or alcohol mixed with gasoline. This means of classifying the "energy market" is called the end-user community characterized by a similarity of applications in the use of fuels to accomplish related tasks, such as travel, transport or communication. Consequences of the existing conditions require us to make modest changes. Production and use of energy is the most damaging human activity with regards to the functional integrity of our environment. Point sources - come from identifiable targets or places. Non-point sources - can't be traced to one or a few origins, thus the widespread character of the toxins make it more costly to minimize. not carbon based radiation nucleotide wastes have very long half lives. carbon based efficient portable, carbon dioxide wastes. abundant strip mining mercury, sulfur and carbon dioxide wastes. Nuclear power is derived from uranium processing and is dependent on carbon based electricity to refine the uranium-although it is not a carbon based fuel, nuclear energy releases ionizing radiation. Natural gas is a derivative of petroleum exploration and is a carbon based vapor found above oil deposits, while it is efficient when burned and portable, it does produce carbon dioxide wastes. Coal is clearly a carbon based fuel although it is more carbon intensive than wood, dung, or charcoal. Coal is the most abundant fossil fuel although it requires extensive strip mining that devastates the landscape and pollutes surrounding water sources. Mine sites can be restored if the cost is included (which it is not) in the pricing of the coal resources. The combustion of coal creates mercury, sulfur dioxide and carbon dioxide wastes. Oil or Petroleum is a liquid or semi-solid (tar or tar sands) carbon based fuel, that when refined after drilling is both highly efficient [per BTU produced from amount of fuel] and versatile; but the combustion of petroleum-based fuels (oil, gasoline, kerosene, diesel) nitrous oxide and carbon dioxide wastes. All fossil fuels are carbon based and cause mercury, thermal, Nitrogen (N), Oxygen (O), and particulate pollution. $77 Billion for the first Iraqi War, or "desert storm" to free Kuwait. A Second Iraqi War, 2002-2007, costs over $5 billion per month . 70% of PV cells manufactured in US are exported, but none are manufactured in Florida. Only solar thermal products are made in Florida, solar electric is made in California, where Florida Power and Light (FP&L) owns the solar electric generating facility in Kramer, Ca. Florida spends over $20 billion annually to import fuels into the state; 97% of which are fossil fuels. Over 2 billion people in the world have do not have electricity. 70% drop in sales of solar (thermal for water heating or electrical) systems occurred when the tax incentive was removed! POWER to change the world is in our hands because the US is the largest single user of fuels for energy in the world. Technology is available and readily adaptable to end-user needs. Jobs created in Florida for skilled workers with a large potential export market. Energy efficiency makes industry globally competitive with Japan, Israel, and Germany. Utility costs are the second largest outlay of local, state and county governments. St. John's Community College invested in energy $415,000 outlay brought savings in 5 years $500,000 savings over 10 years $1.23 million. 1. R&D priorities are skewed in favor of gas, oil, coal and nuclear fuels. 2. Demonstration projects are needed to display the savings to public consumers. 3. State & Federal tax policies make cities and counties dependent on fuel sales. 4. Energy pricing policies favor greater demand than reserves supplies can handle. 5. Capital plant pricing recovery policies for energy facilities means big outlays. 6. Absence of energy planning fort he long-term in a comprehensive way. 7. Failure of government to lead by example in purchase of lighting, appliances. 8. Lack of consumer awareness about how homes and appliances waste energy. 9. Prevailing attitudes about pay-back requirements rather than life-cycle costs. 11. Regulatory barriers: costs passed on to rate payers instead of peak power pricing. 12. Resistance to change: people are reactive, ignorant, apathetic, or satisfied. Since 1978 of the $38 billion US DOE R&D money spent over half went into nuclear energy! Energy efficient refrigerator -- advertised in the "Real Goods Catalog" can only be found in the catalog; so you can't see & touch the appliance before you purchase the appliance. hampered by the planning process and costs of construction that select against efficiency. Mortgages that would include the price of solar thermal (an additional $3,000) could be used and could be extended to more costly solar electric ($10,000 to $15,000) generating equipment to make the cost of energy generating appliances less prohibitive to home buyers. 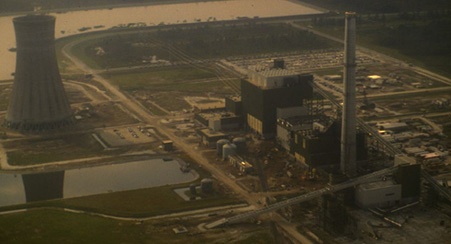 1980, Utility reform passed for Florida - kept monopoly of energy generating and electricity distribution systems in private investor owned utilities with some public utilities and owner cooperatives. 1985, Comprehensive Growth Management: energy efficiency advocacy but it did not adopt a statewide energy efficiency plan. PSC rigidity extends to the staff in that present policy prefers perverse incentives. Perverse incentives exist where, even well-meaning, regulations are implemented that have unintended consequences, to the extent that these operational behaviors actually undermine the original intent of the regulation causing a reversal of the initially desirable regulation. Control of utilities, sewers, water, appliances without an emphasis on efficiency causes the inefficient use of electrical power. Industry represents research as valid to under-staffed agency without necessary challenges. The existing Rate-based pricing structure or rate of return is a disincentive to be efficient. Utilities make their money from capital construction costs, not from efficiency of service. Both building, fuel, distribution and transport costs are passed on to the rate payers for power they used. Public Service Commission (PSC) regulates utilities for the common good. The more electricity you sell the more you can charge for power. Peak versus base-load power demand must be the a basis for identifying reserve capacity. Peak refers to the electricity needed twice a day in the early morning and late afternoon by largely residential customers. Base-load represents the ability of a certain technology to generate electricity, based on the fuel, the machinery and the delivery system, on a continuing basis so as to supply consumers with electrical power. exempted from the 1980 Act in 1997. Set conservation goals (PSC) 1998; convince the commission to expand the program. Do not adopt narrative goals which amount to a sentimental wish list. Establish numerical goals for what utilities have to achieve! Redo the ten year site plans to include renewable fuels appropriate to Florida. Have a consumer disclosure clause to document sources & pollution. Can we afford the fossil fuel straitjacket that we are putting on for the alleged convenience of electricity? Are we building a coal and petroleum coffin for our way of life? Can we free ourselves from the carbon vice we find ourselves in due to our appetites? Although state by state these recommended targets for a certain percent of electricity to be generated from renewable fuel sources exist (from between 10 to 20 percent by set dates), a national standard must be in place if clean fuels are to thrive on an equal playing field with the largely subsidized oil, gas, coal and nuclear fuel providers that currently supply 90 per cent of the electrical power needs in the US. Renewable fuels are defined by law but in Europe they are largely based on fuels pr electricity derived from agricultural products, wind, water, or the sun. In any competitive market through rational and intelligent players looking for the best returns on their investment, certain fuels will always have an advantage, unless a set aside percentage, called a carve-out is specified in any renewable energy plan where the policy is to create new markest in energy efficiency and conservation of resources. The solar carve out is to stipulate a certain percent of the renewable energy portfolio is dedicated to either solar thermal or solar electrical generation. Such a policy can help with reducing the peak demand for electricity that occurs early in the mornings and late in the afternoons throughout the United States and Canada. Germany, Israel and Japan have such approaches in an effort to diversify the fuels that consumers use.